Divide melted CandiQuik into shallow bowls. Add oil-based candy color one drop at a time to each bowl until desired color is reached. 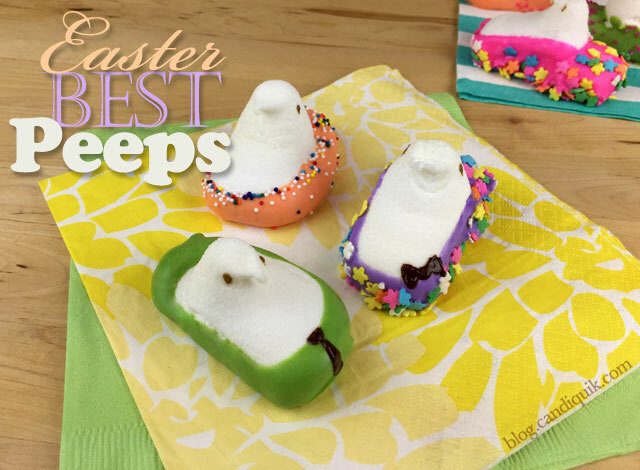 Dip bottom half of Marshmallow Peep in colored Vanilla CandiQuik and set on wax paper to dry.